Cofelia’s Adipose | Barbie Who? 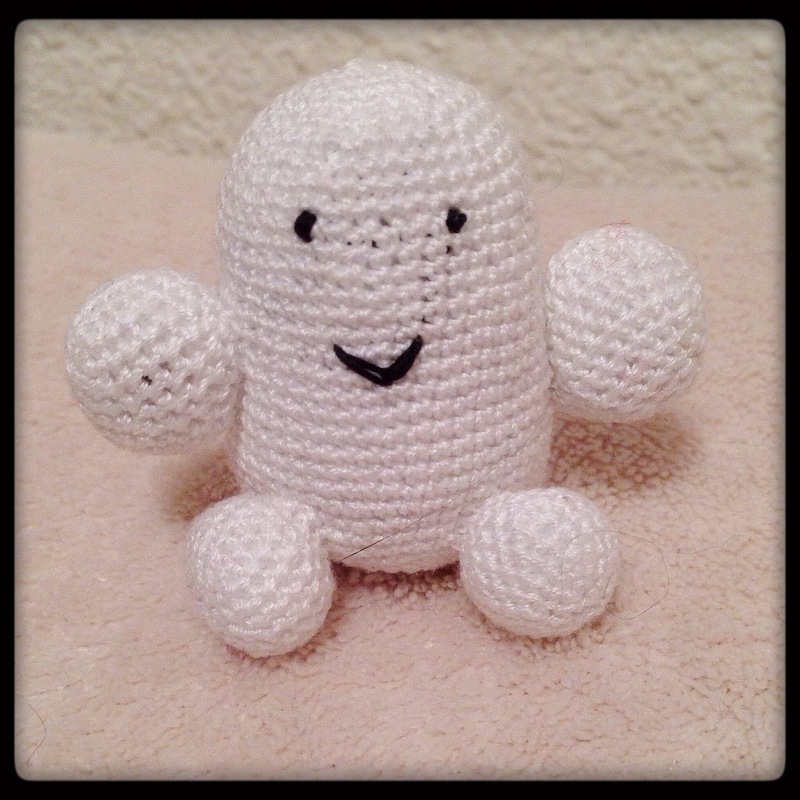 I finished an Adipose! For anyone not so well-versed in Doctor Who, an adipose is an adorable little squishy alien that caused trouble for the tenth Doctor. I am very pleased with how this little guy turned out! To make this adorable plush, I used a pattern created by …by Midnight. You can see her blogpost about it right here. I did change up the arms and legs, though. I didn’t want to make the fingers or toes in such tiny thread, so I just ad-libbed them. My biggest concern when starting this pattern was scale. I wasn’t entirely sure how well it would transfer to a different weighted yarn and a smaller crochet hook. I was also concerned about how large it would be compared to the doll herself. 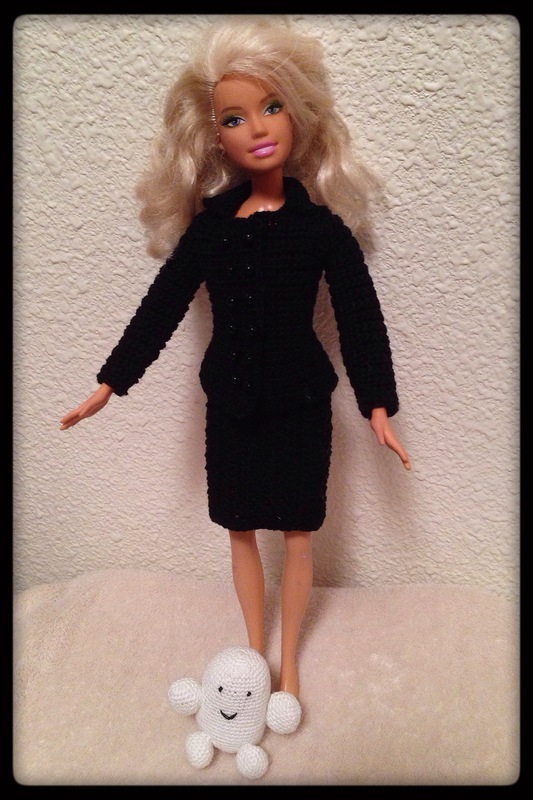 I decided to use size 30 crochet thread and a size 9 (1.40 mm) crochet hook to make this doll and hoped for the best. The thread came from a thrift store and was in its original unopened packaging (this is the only reason why I know what size thread it is). The thread worked well with the tiny hook and created an adorable little plush. To stuff the body and limbs, I used some fiber fill that I purchased on clearance. It was difficult to fill the tiny arms, but I managed to work it out after a slight struggle. Beyond the Adipose, I also removed the earrings from the Barbie doll I’m using for Cofelia. They are big and are a distraction, so I have no regrets about taking them out. I think she looks considerably better this way. Up next, I am going to focus on little details for this doll. I have determined that making glasses isn’t feasible to do, so I am going to order some off of eBay last week. I also found a pattern for doll stockings I would like to attempt. This is a sewing pattern, so I will have a good excuse to clean the dust off of my neglected sewing machine. I will also clean up and style the doll’s hair to match Cofelia from the show. We are getting very close to finishing this doll. I really look forward to sharing the results!